This season has come with sweet, seducing smell of chocolate to the town! ...but, there seems to be problem in the park?! Let's work together to make Valentine party fun!! After the maintenance on February 6th, 2019 (Wed), we will be holding Valentine Event "Colorful Valentine"! Event DetailWhen the event starts, you will be getting "Valentine Park Entrance Ticket A" or "Valentine Park Entrance Ticket B." By having one of the ticket, you will be able to produce the "Present" items for this event. "Ticket A" will produce "Presents" with A and for "Presents" with B will need loads of materials. But, with this event's "Present," you will be able to send with attachment to other characters! Let's efficiently get through the event, by cooperating together with people who holds "Ticket A" and "Ticket B"! How to participate1. Get Valentine Entrance Ticket, from event's achievements "Valentine Park Invitation." *You would get either one of "Valentine Park Invitation," A or B. 2. 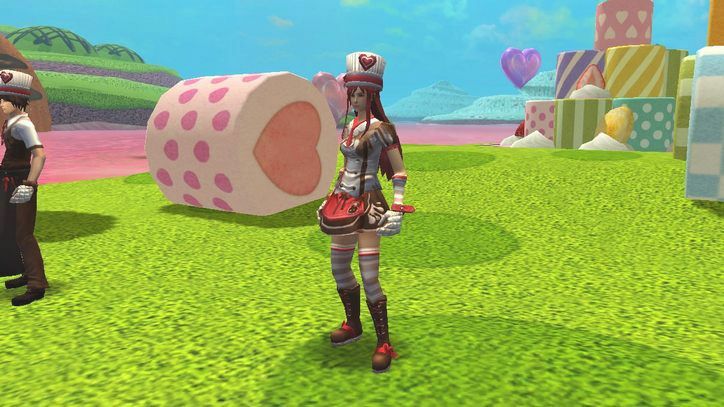 Enter the Event Map "Valentine Park" from the portal in the each base! 3. Collect materials for item and challenge Event Dungeon from Faine. Dungeons have "Nov," "Int," and "Adv" and materials that can get differ according to difficulties. 4. When you got all the materials, produce "Presents" from [Reward Exchanger] Keil! 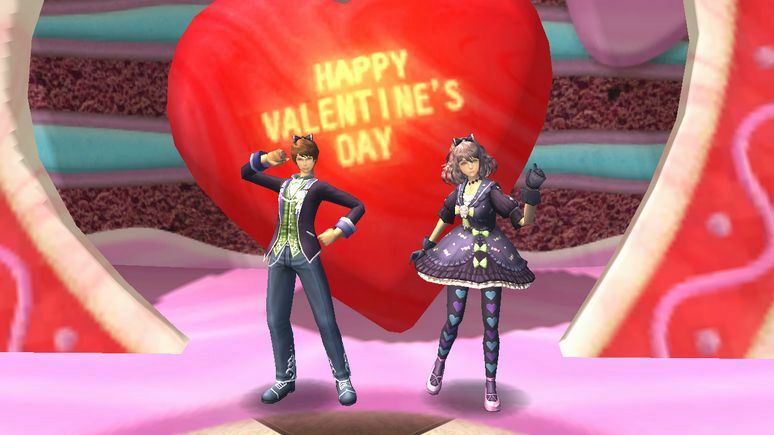 *"Present's" necessary materials for production will differ according to holding whichever Valentine Park Entrance Ticket A or B.
RewardsAs materials for all 3 types of "Presents," you can produce "Event Avatar Box" from [Reward Exchanger] Keil! Other than Avatar Boxes, "Valentine Park Item Exchange Ticket" will be producible! This will be offering item quest that you can from [Ticket Exchanger] Lea. Event support items now on sale!Rewards' increasing production rate! 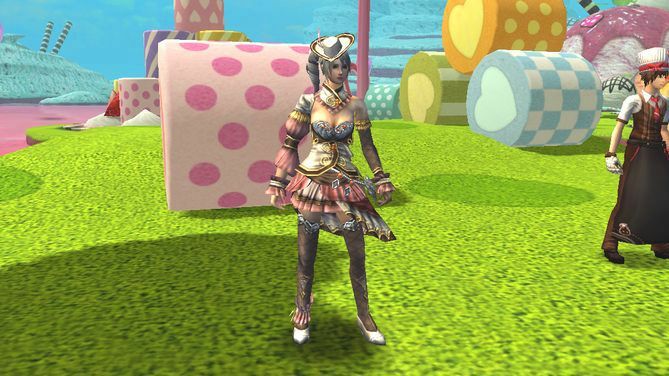 You can get effective damage from Event Dungeon from "Ex Love Certificate for Valentine Park"!During the event, by equipping, there will be NPC [Reward Exchanger] Keil's recipes with [Ex Love Certificate]. [Ex Love Certificate]'s recipe, is a special one that some event items that can be produced with less necessary material than [Love Certificate]! Additionally to above effect, you can give effective damage to appearing monster in Valentine Dungeons! *Event-limited effect is effective by having it in the bag. *Recipes that are not applicable for event-limited effect also exist. *Only the damage effect in the event dungeon will overlap, if you own 2 or more. 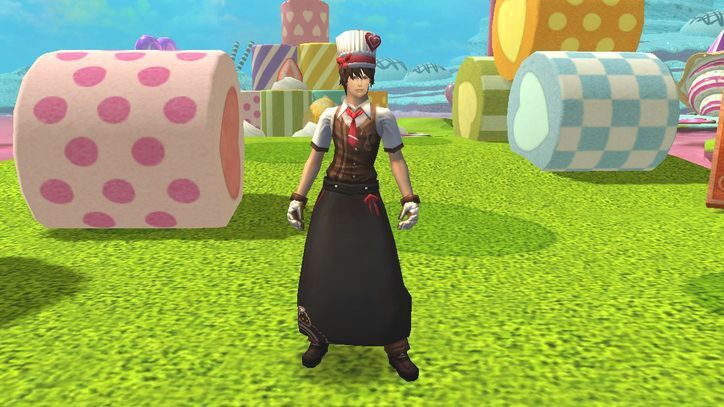 Event Rewards can be produced efficiently with "Love Certificate for Valentine Park"!By equipping it during the event period, [Reward Exchanger] Keil's recipe attached with [Love Certificate] will be shown. [Love Certificate]'s recipes are special recipes to produce some event items with less necessary materials than usual! *Event limited effect will not overlap even though you equip two of them. *Production of event items and accepting/reporting of Event Quests are only possible during the Event period. *Please use chat and mail functions within AVABEL ONLINE for conducting items exchange. Share your love with your one-and-only!